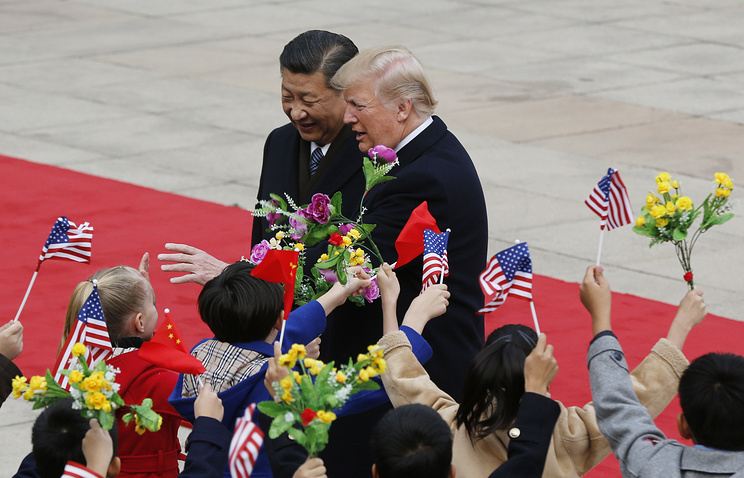 US President Donald Trump and his Chinese counterpart Xi Jinping could meet in late February. Washington earlier said that work was in progress to lay the groundwork for a summit with North Korean leader Kim Jong Un. According to some sources, in both cases negotiations are likely to take place in Vietnam, whose role in such a scenario will expand, Nezavisimaya Gazeta writes. Experts believe the Americans are playing a cunning rapprochement game with their former adversary to spite Beijing. The Vietnamese port city of Da Nang is mentioned as a potential venue for the meeting. In the 1960s and 1970s, it hosted a huge US base with an airfield and a port, through which the US transported troops and military cargo. Today Washington considers Da Nang a convenient site for negotiating a deal in its trade war with China and reaching an understanding with North Korea on its denuclearization. 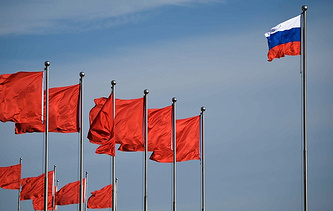 According to Dmitry Mosyakov, Head of the Southeast Asian Department at the Russian Academy of Sciences’ Institute for Oriental Studies, the motives behind Washington’s plans to hold these summits in Vietnam are perfectly clear. "The US is trying to maximize its relationship with Hanoi and views it as a key ally in Southeast Asia. The Americans are maintaining ties with both the official authorities and the intelligentsia," he explained. The expert noted that the US wanted to show that Vietnam, previously an America enemy, was transforming into its friend. "This is a tricky move, which is expected to show Washington’s trust in the Vietnamese leadership. The Americans want to turn Da Nang into Vietnam’s ‘window display’ similar to Hanoi and Ho Chi Minh City," he pointed out. Whether or not Xi Jinping will travel to Vietnam, is hard to say. After all, China is perfectly aware of America’s game. It did not forget that at the end of last year, US Vice President Mike Pence accused China of unfair trade, expansion and other cardinal sins, the expert concluded. 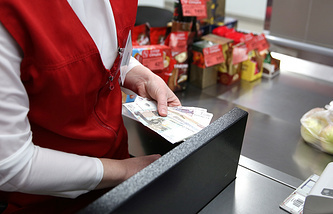 For the first time, the percentage of cashless payments in Russia reached 50% in January 2019, Izvestia writes citing data provided by Taxcom, one of the largest cash register operators, which analyzed 11 bln cash register receipts. While in 2017, 40% of Russians opted for plastic cards, their share grew to 46% in December 2018. Plastic cards are used most often in Moscow, Tyumen, Ufa, St. Petersburg, Perm, Kazan and Krasnoyarsk, the company found out. Compared to last year, Russians began using cards more often to pay for gasoline, alcoholic beverages, medicines and food items. By the same token, the number of plastic cards in Russia decreased slightly last year, noted Otkritie Broker analyst Timur Nigmatullin. It is apparent that the key driver behind the growing popularity of non-cash payments was a surge in the use of plastic cards and not any increase in wages received on cards, the way it was over the past ten years, he explained. The transition to cashless payments has accelerated thanks to technological breakthroughs and progress in convenience for consumers, banks and sellers, the paper quotes Anton Tabakh, Chief Economist at RusRating Agency, as saying. The proportion of Russians who prefer non-cash payments will reach 65-70% within the next three years, according to Anton Graborov, BKS Premier’s Business Development Director. He also noted that, despite the convenience and benefits of non-cash payments for the public, the share of cash payments will remain substantial dropping to 30-35% in the coming years. Ukraine’s Central Election Commission has concluded the acceptance of documents from those contenders wishing to register their run for the upcoming presidential election set for March 31. Almost two months before the vote, entertainer Vladimir Zelensky, a Russian-language candidate, who said he was willing to meet with Russian President Vladimir Putin, has suddenly taken the lead in the presidential race. In spite of that, incumbent Ukrainian President Pyotr Poroshenko and Yulia Timoshenko, leader of Ukraine’s Batkivshchina (Fatherland) party, are considered to be the top presidential candidates, Kommersant writes. For other candidates who have no chances of winning, running in the presidential race will be a dress rehearsal for this coming autumn’s parliamentary elections, which will determine the new balance of power in the country. According to Kommersant’s interlocutors in Kiev, Zelensky is an intermediate candidate before the decisive faceoff between Poroshenko and Timoshenko. "Vladimir Zelensky’s participation in the presidential race brought together those voters who are opposed to all. This is an attempt to stir up the electoral marsh, which accounts for more than 50% of voters, into an active force. Candidate Zelensky has coped with that task to some extent," a source close to the Poroshenko administration told the paper. "The final alignment of forces in Ukraine will be known only after the parliamentary elections. In the event of the opposition’s victory in the elections to Verkhovna Rada, the victory won by one or another candidate may turn out to be Pyrrhic," Director of the Kiev-based Institute of Global Strategies Vadim Karasev told the paper. "Ukraine is a parliamentary and presidential republic. 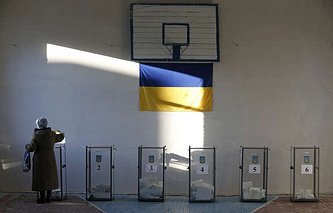 In this context, the parliamentary elections will play a decisive role in shaping a new system of Ukraine’s government after the big election season of 2019," the expert concluded. The Kremlin is prepared to discuss the opening of a second military base in Kyrgyzstan with Bishkek, Russian Foreign Minister Sergey Lavrov said during his visit to the Kyrgyz capital. 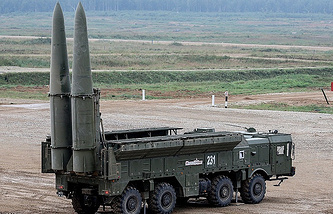 Experts stress that Russia’s plans to build up its military presence in Central Asia stem from Moscow’s desire to show that it is holding on to its dominant position in the region. According to Kyrgyz military expert, Colonel Toktogul Kakchekeyev, "if we are full-fledged allies, then the entire territory that is part of the Collective Security Treaty Organization (CSTO) should be reliably protected." "Consequently, if a second Russian military base is built in Kyrgyzstan, the Tajikistan-Kyrgyzstan defensive fortification system will bring a sense of security, and extremists will see the writing on the wall. Accordingly, all potential conflict situations will be nipped in the bud," he told the paper. The military analyst recalled that the issue of opening a military base in southern Kyrgyzstan was almost resolved under President Kurmanbek Bakiyev. "However, the United States outmaneuvered Russia by striking an agreement with Bakiyev. At that time, he extended the stay of the US air base located at Manas airport and blocked the opening of the second Russian military facility. Only President Almazbek Atambayev tore up the agreement with the US," he explained. He warned though that the issue of creating a Russian base in southern Kyrgyzstan could remain unresolved. "Washington is stepping up its activities in the Central Asian republic. The new US Ambassador Donald Lu who earlier worked in our country was appointed to Kyrgyzstan. Lu knows our NGOs, knows those liberals in the government who insist on improving relations with Washington. President Jeenbekov said new accords with the US were possible," Kakchekeyev added. A delegation from the UK made up of about 15 politicians, entrepreneurs and experts will pay a visit to Crimea in April 2019, Crimea Head Sergei Aksyonov told Izvestia. Considering the current tensions between Moscow and London, the arrival of the British delegation plays a very important role, since such visits help tear down artificial barriers and help smooth over relations, he stressed. "A delegation from that country will visit the peninsula for the first time since 2014. 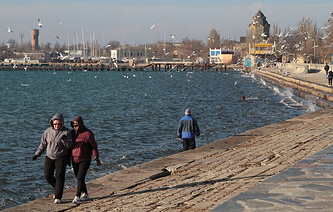 Britons have come to Crimea earlier, but as individual tourists, not as delegation members. Crimea has tremendous investment potential. Foreign entrepreneurs who want to establish trade ties with the region realize that. Against the backdrop of anti-Russian hysteria and the dissemination of false reports about life on the peninsula by some media outlets, more and more people want to see what is going on in the republic with their own eyes," Aksyonov said. The British delegation is expected to take part in the 5th Yalta International Economic Forum that will be held on April 17-20. Andrey Nazarov, chairman of the Board of the Yalta International Economic Forum Foundation, told Izvestia that European Parliament member Bill Etheridge, who visited Crimea last year, would lead the delegation from the UK this time. "Despite London’s stance, British businesses see prospects for cooperation with Crimean entrepreneurs, at least in the industrial and construction sectors of the economy. We are ready to show the republic’s accomplishments over the past five years. We are confident that we will draw Britain’s attention to the situation in Crimea and, to some extent, this will be the first step towards rapprochement between London and Moscow," he emphasized.